I was just relaxing and checking the news after a busy day of class and work when I realized that today is Culture Day in Japan! 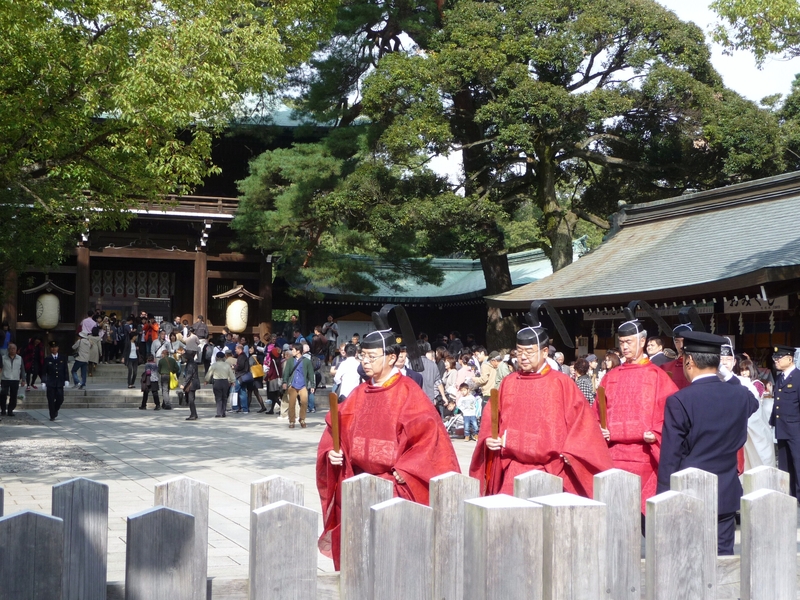 Of course we missed all the celebrations this year but we were in Tokyo last year for Culture Day and had a great time at the celebration held at Meiji Shrine. Remembering that led to an immediate search through my photos to relive some fun memories. Culture Day (文化の日, bunka no hi) is a national holiday in Japan celebrated on November 3rd and basically celebrates cultural activities and art forms. It’s not one of the larger holidays but there are plenty of award ceremonies for artists and other scholars, as well as festivals at local schools. Last year for Culture Day we went to the celebration at Meiji Shrine where they had several cultural activities and events going on throughout the day. 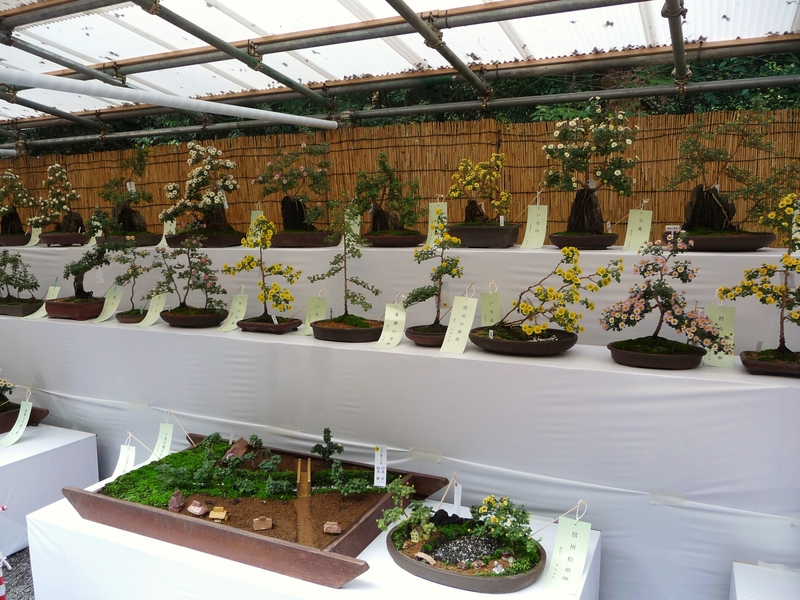 One of the exhibits I got photos of featured bonsai, some of which were designed to make tiny scenes. 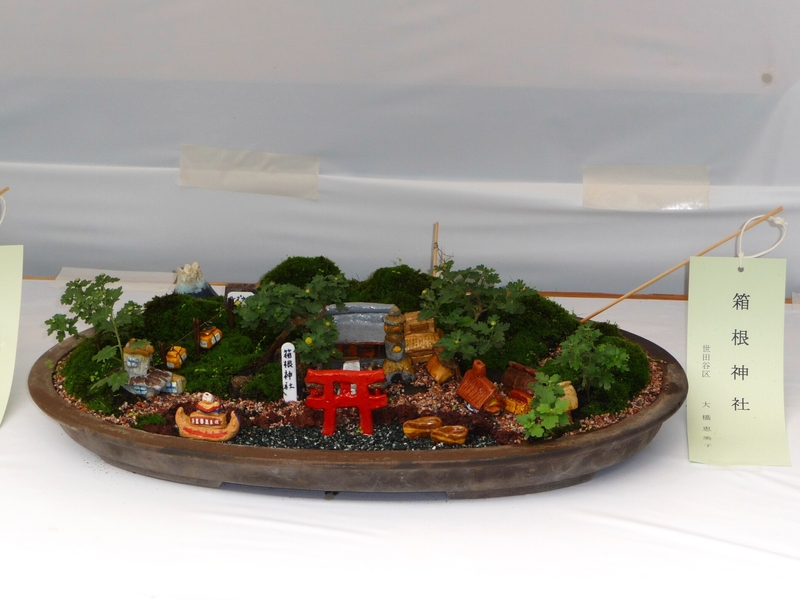 I think the first one with the tiny torii (shrine gate) was my favorite but the one with the bridge was a close second. So cute! 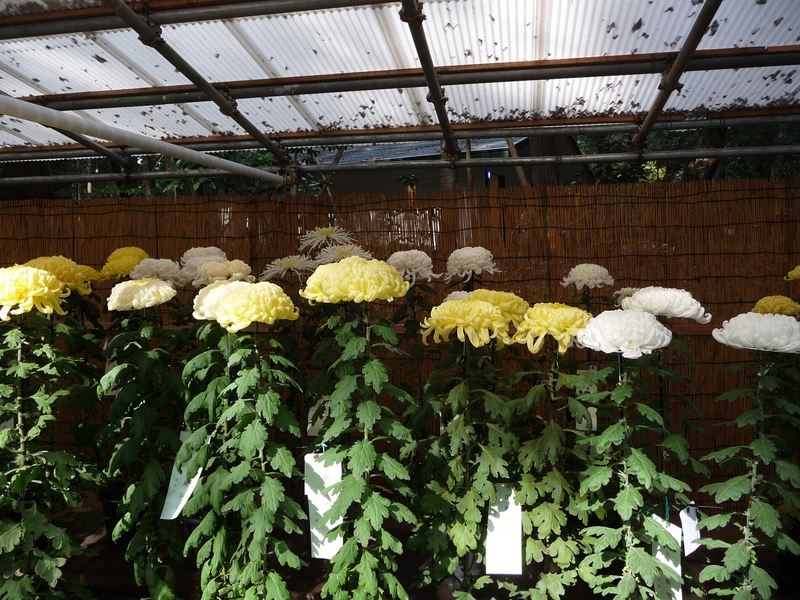 There were also beautiful chrysanthemums blooming in another exhibit. 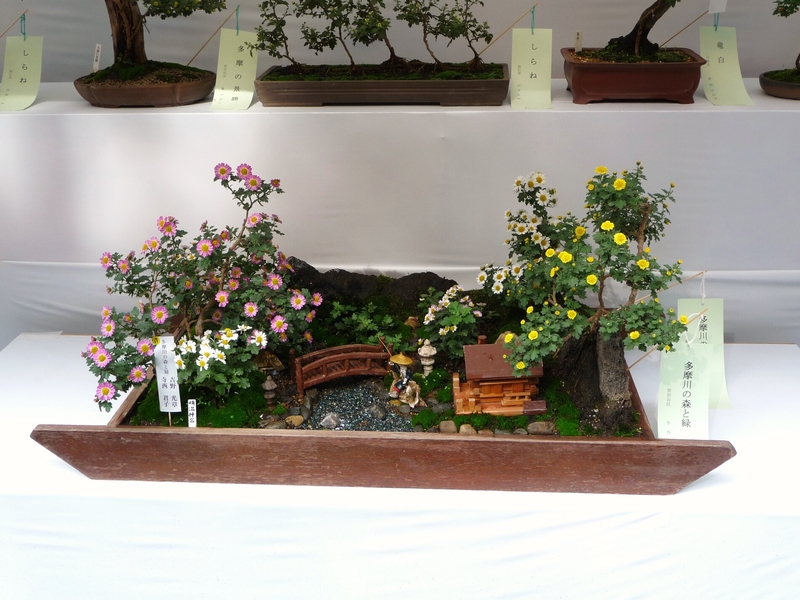 I am guessing there was such a large exhibit of these, not just because they’re beautiful, but because the chrysanthemum is the symbol of the Imperial family in Japan. The Emperor’s symbol is actually a chrysanthemum blossom design. After stopping to watch the procession and wonder about the significance of their hats, we continued on to what I considered the main event of the day: mounted archery! 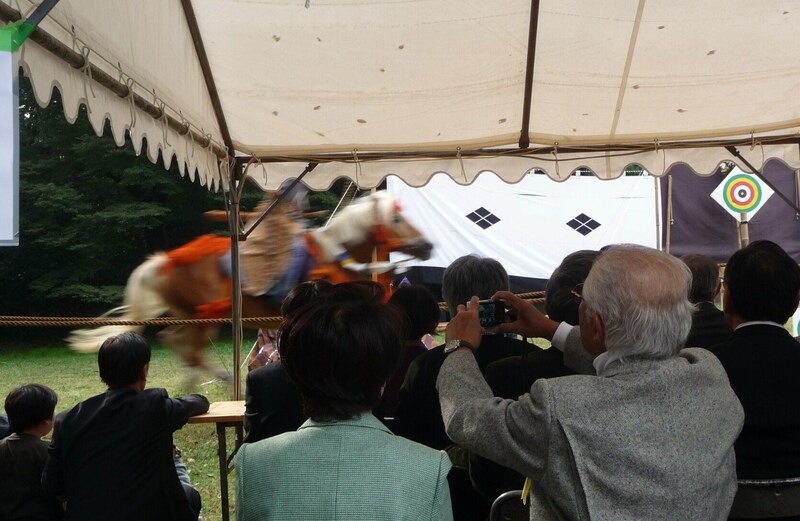 This is called yabusame (流鏑馬) in Japanese and involves a mounted archer shooting arrows at three successive targets, all while his/her horse is going at a gallop. 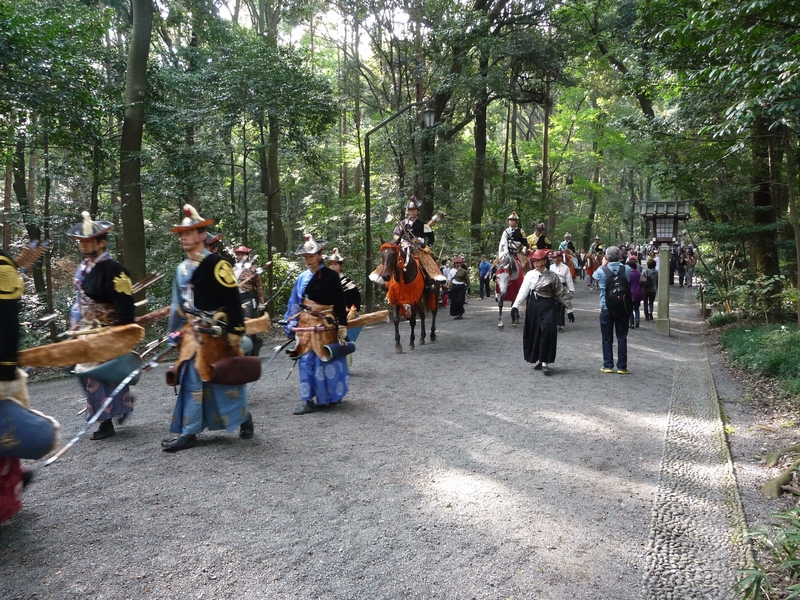 We arrived early enough to see the procession on their way to the yabusame event. 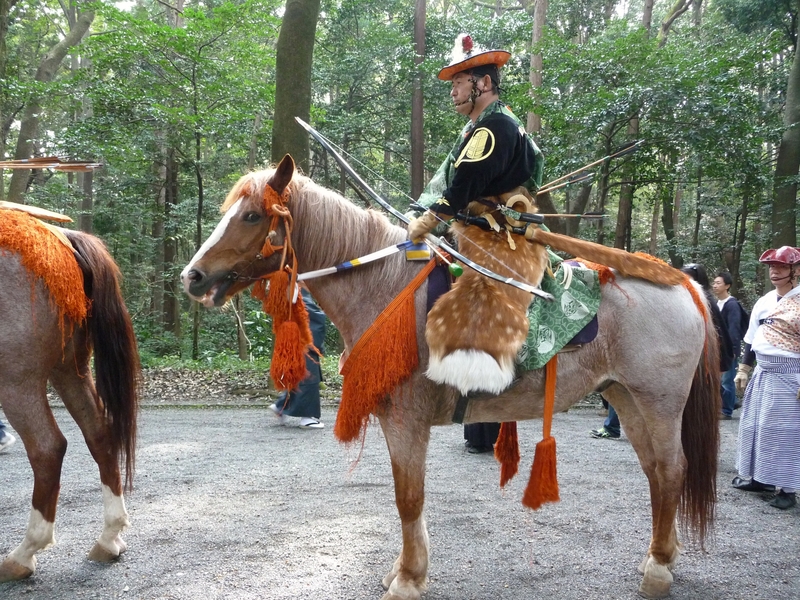 The riders wore traditional clothing and ornamentation, as did their mounts. This one even had deerskin chaps and scabbard for a long sword! I have to think his horse was enjoying himself because as I stopped to take a photo, it seemed like he looked over and smiled for the camera. No joke, just look at the photo! Fortunately for the event and perhaps unfortunately for us, once we made it to the event location, we found that people had already been waiting for a while and we couldn’t get that close to the action. 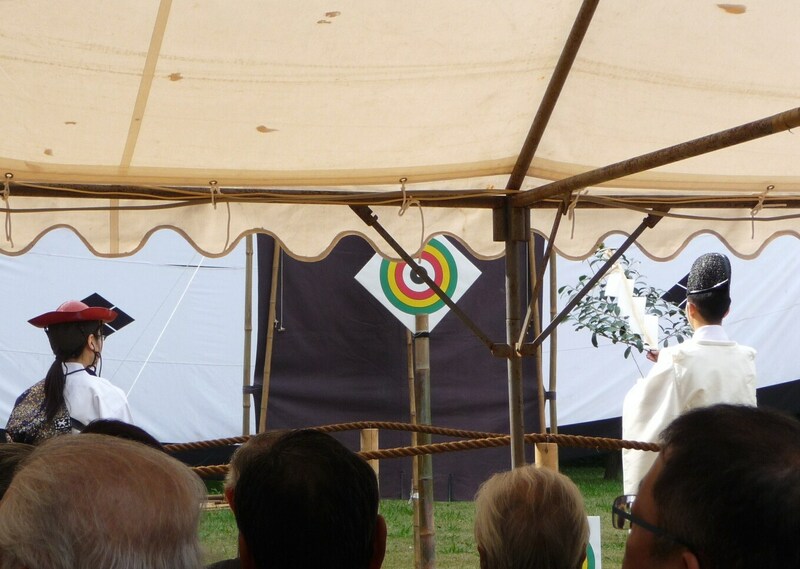 You can see part of the ceremony they performed here, complete with the waving of shide (しで), the white zigzag-shaped streamers often used in Shinto rituals. Once the event really got started, each rider would point his mount toward the line of targets and head off at a gallop. And some of those horses were fast! Of course, they cannot hold the reins in their hands while also shooting their arrows so they directly the horses mainly with their knees. 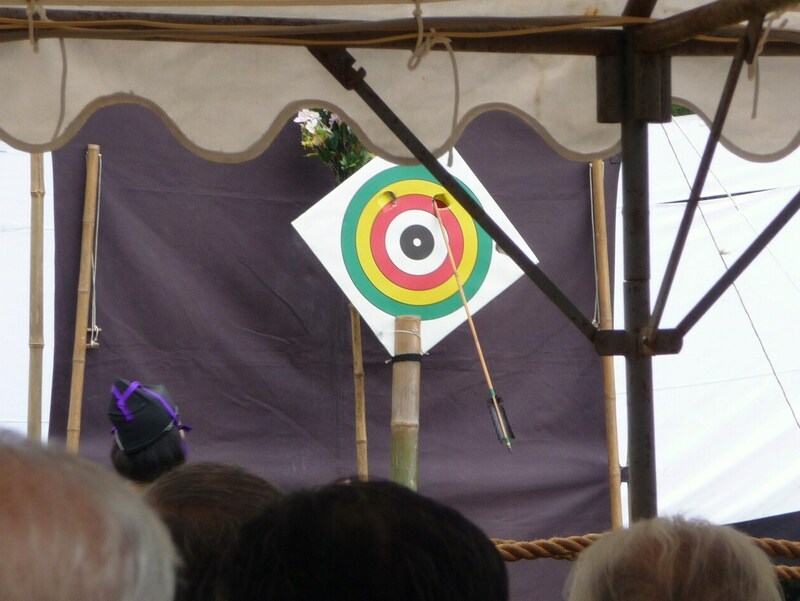 It takes a lot of skill and practice to be able to hit a target from atop a galloping horse, let alone three in a row! This is something I’d love to see demonstrated again if I ever get the chance. I think it’s probably not an event that is held often and in a lot of locations but if you are ever in Japan and have the opportunity to see this in person, I’d definitely recommend it!